South Africa rejoined the continent and the international community in 1994 following the dawn of freedom and democracy. Africa Day 2015 marked the celebration of 21 years since the country's reintegration into the OAU/AU. Songs, dancing and garb from various African nations was the order of the day as thousands of people from across the continent converged in Mamelodi, east of Pretoria, to mark Africa Day on 24 May 2015. They were joined by ambassadors from African countries, Cabinet ministers, African Union Commission Chairperson, Nkosazana Dlamini Zuma, and President Jacob Zuma, who led the country's inaugural Africa Day celebrations under the theme: “Building a Better Africa and a Better World". Africa Day is celebrated on 25 May on the African continent and marks the formation of the Organisation of African Unity (OAU), now known as the African Union (AU), by 32 governments in 1963. In his address, President Zuma highlighted that Africa Day was a celebration of African progress, but also a day to reflect on the challenges that remained. “We have a lot to celebrate and we have a lot to look forward to. Africa Day is a celebration of African unity and a reminder that we should never lose sight of that noble goal of the founding leaders of the OAU. “We also at the same time celebrate the solidarity and friendship provided by South Africans in many townships and villages to African nationals who came to settle in our country in search of opportunities even at the height of apartheid colonialism,” President Zuma said. President Zuma encouraged South Africans to use Africa Day to learn more about the AU, its structures, programmes and the continent in general. The President called on every school, church or community choir and individuals to practise the AU anthem and sing it at all important gatherings and celebrations. Addressing the event, Dr Dlamini Zuma said South Africans needed to remember and understand that they too were African. 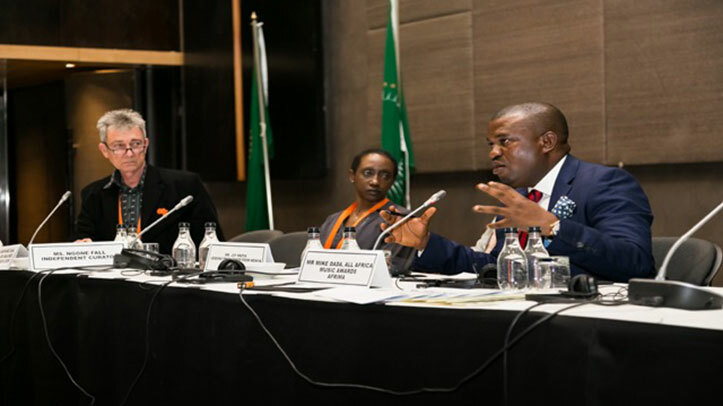 The event, from 25 to 27 May at the Sandton Convention Centre in Johannesburg, was hosted in conjunction with the African Union Commission under the theme “Unity in Cultural Diversity for Africa’s Development”. On Africa Day, 25 May, the Minister of Arts and Culture, Nathi Mthethwa, opened the Fourth African Union Pan-African Cultural Congress (PACC4), which took stock of the challenges and recorded good practices on cultural diversity to enhance development. As part of celebrating Africa Month, the PACC4 brought together the most influential leaders and decision-makers on the continent to discuss Africa's development and challenges and share good practices on cultural diversity. Cultural diversity is critical to achieving the Agenda 2063 Vision for an integrated, prosperous and peaceful Africa. The discussions included the exchange of ideas and experiences among arts and culture professionals, researchers, creators/producers of culture and decision/policy-makers in the area of cultural diversity in Africa. It also reviewed achievements and identified challenges on implementation of instruments related to the promotion of cultural diversity; as well as gathered inputs and best practices for the formulation and implementation of cultural policies and programmes in Africa in the area of cultural diversity. These objectives are also in line with the Africa Month theme “We Are Africa - Opening the doors of learning and culture to promote peace and friendship from Cape to Cairo”. Minister Mthethwa said the department was delighted to host some of Africa’s best minds in the quest for total liberation and self-determination through the arts, culture and heritage sector. 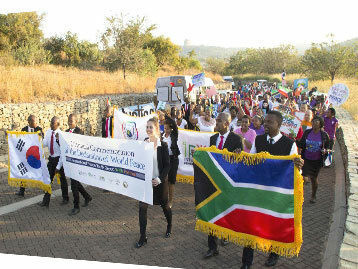 Hosted by Heavenly Culture, World Peace, Restoration of Light (HWPL), together with Freedom Park and the National Interfaith Council of South Africa (NICSA), the event brought all Africans together under one banner of peace and promoteed the message: AFRICA – We are one! 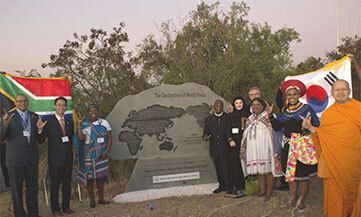 On 25 May, South Africa joined the international community to host the second Annual Commemoration of the Declaration of World Peace at Freedom Park, Pretoria. This event was a commemoration of the day when the Declaration of World Peace was proclaimed by the Chairperson of the HWPL, Man Hee Lee, in South Korea, in 2013, in front of 30 000 youths from all around the world. Since this day, the declaration has become the standard and goal of HWPL around the globe and its members and affiliated organisations are making united efforts to achieve them. More than 200 000 youth and women from all around the world were expected to participate in the second annual commemoration. “The efforts of the South African branch of HWPL are being felt as this culture of peace is spreading around all the provinces of the country,” Freedom Park said in statement. The first part of the event hosted the “Peace This Together” Interfaith Dialogue where youth, women, political and religious leaders gathered to discuss their religious texts regarding the topic of creation. The issue of cooperation was high on the agenda and both presidents agreed to establish a Binational Commission which will enable continuous monitoring and implementation of decisions taken. 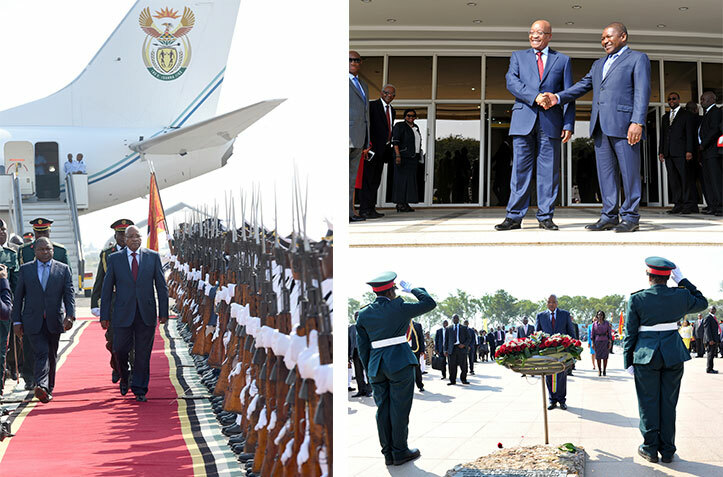 President Jacob Zuma recently returned to South Africa following a successful two-day State Visit to the Republic of Mozambique at the invitation of his counterpart, President Filipe Nyusi. The two leaders discussed issues of mutual interest, in particular on bilateral, regional and continental cooperation. They also discussed the energy challenges on which they agreed to work together to benefit from the resources in both countries and to have better coordinated programmes, especially in the light of recently discovered gas reserves in Mozambique and electricity challenges in South Africa. “We have discussed the energy issue and together with President Nyusi have tasked respective energy ministers to immediately explore gas energy and have practical programmes to address this matter," said President Zuma. In addressing political conflicts continentally, President Zuma stressed that the Southern African Development Community countries needed to pull together when neighbouring countries were in conflicts as any instability in one, affected the others. The President also paid a courtesy call on the Speaker of Assemble Republic, Veronica Nataniel Macamo Dlhovo. President Zuma has extended an invitation to President Nyusi to undertake a State Visit to South Africa, which he accepted. The President was accompanied by the Minister of International Relations and Cooperation, Maite Nkoana-Mashabane; Minister of Defence and Military Veterans, Nosiviwe Mapisa-Nqakula; Minister of Arts and Culture, Nathi Mthethwa; Minister of Energy, Tina Joemat-Pettersson; and Minister of Environmental Affairs, Edna Molewa. She was afforded a special official funeral which was attended by President Jacob Zuma, Cabinet ministers, premiers of various provinces and over 4 000 mourners. 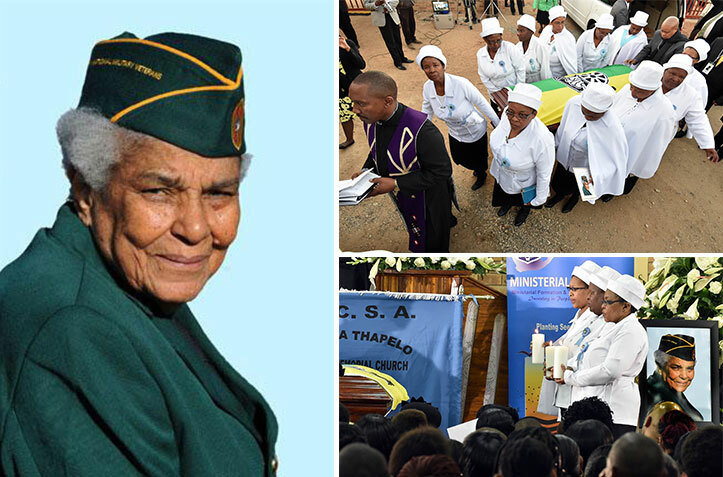 A sombre mood filled the special dome erected at the showgrounds in Vryburg in the North West on 23 May, as thousands of mourners paid their last respects to the distinguished stalwart of the struggle against apartheid, Ruth Segomotsi Mompati. Mme Ruth, a former Member of Parliament and Mayor of Vryburg, passed away in a Cape Town hospital on 12 May at the age of 89 after an illness. She was among those who organised the women’s march to the Union Buildings in Pretoria in 1956 to protest against apartheid pass laws. Fellow veteran of the struggle, Sophie Williams-De Bruyn, paid tribute to Mme Ruth, saying she had left citizens and the leaders of the country with the tools to contribute to a better life for all. Delivering the eulogy, President Zuma said people had not gathered in Vryburg to mourn, but to celebrate Mme Ruth’s life – a life totally dedicated to the struggle for freedom, justice, equality and the quest for a better life for all, especially the poor. “Here lies an outstanding leader with an exemplary life which is an embodiment of the principles and values of the liberation movement. She lived these values of unity, selflessness, sacrifice, collective leadership, humility, honesty, discipline, hard work and mutual respect. He said even in retirement, many years later, Mme Ruth was involved in various community projects aimed at the upliftment of people. President Zuma urged leaders and citizens to revive and promote in themselves and in communities the supreme ideals that she held dear. The zone will stretch from Egypt to South Africa and will connect consumers in the 26 member countries of three existing trade blocs: the Common Market for Eastern and Southern Africa (Comesa), the East African Community (EAC) and the South African Development Community (SADC). The Tripartite Free Trade Area stretching from Cape to Cairo – which has been in the works since 2008 – will be launched on 10 June in Sharm el-Sheikh, Egypt. Trade and Industry Minister, Rob Davies, gave the date in a media briefing ahead of his Budget Vote in the National Assembly, in Parliament, Cape Town, on 21 May. "The Tripartite Free Trade Area … will signal that we are on track to create a market of over 600 million people with a combined gross domestic product (GDP) of over $1 trillion," he said in his Budget Vote. continent – a market of 1,3 billion people with a combined GDP of over $2 trillion." Those negotiations will be launched at the 25th African Union (AU) Summit, taking place in South Africa from 7 to 15 June. The consultation among the deputy ministers were held in preparation for the VII BRICS Summit, which will take place in Ufa, in July. 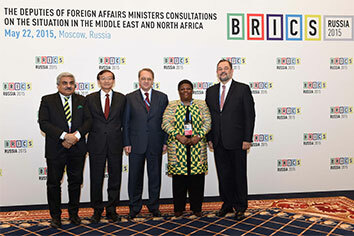 South Africa was represented by the South African Ambassador to Russia, Nomasonto Maria Thusi, at the BRICS Deputy Foreign Affairs Ministers Meeting, which was recently held in Moscow, Russia. 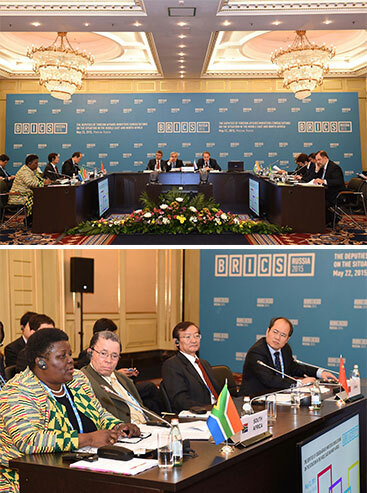 The meeting served to further strengthen BRICS consultations on global issues of mutual interest. Cooperation between the BRICS has deepened over the past year in a number of areas identified at the annual summits, the Department of International Relations and Cooperation said. Also on the agenda were matters relating to the Middle East and North Africa. Developments in the Middle East and North Africa were first addressed by the leaders of BRICS at the Third BRICS Summit held in Sanya, China, in 2011. Government approved the Nuclear Energy Policy in 2008. It provides for the expansion of the nuclear build programme to address the country's socio-economic needs and bolster the economy. The Department of Energy would begin with the nuclear procurement process in the second quarter of this financial year, Minister Tina Joemat-Pettersson said when she delivered her Budget Vote in Parliament. "We will commence with the actual nuclear procurement process in the second quarter of this financial year to select a strategic partner or partners in a competitive, fair, transparent and cost-effective manner. "We expect to present the outcome of this procurement process to Cabinet by year end." Cabinet also approved the Integrated Resource Plan 2010, which provides for 9 600 megawatts of electricity to be generated through nuclear power, with the first unit commissioned by 2023. South Africa has signed various intergovernmental agreements with other countries, laying the foundation for cooperation, trade and exchange for nuclear technology as well as procurement. These agreements describe broad areas of nuclear cooperation and they differ on emphasis, based on the needs of each country. Minister Joemat-Pettersson said that completed intergovernmental agreements would be submitted to the Cabinet for discussion and endorsement in the coming weeks. After this, "the requisite parliamentary processes for ratification of these agreements will follow". In addition, there have been vendor parades with all nuclear vendor countries that have shown an interest in participating in the nuclear new build programme. The department will finalise the business model for the re-establishment of the nuclear fuel cycle facilities to take advantage of mineral resources and the State's beneficiation strategy. In preparation for the roll-out of the nuclear build programme, the department has begun a nuclear skills development and training programme, through which students will receive focused training in various countries. Last month, 50 trainees from government nuclear industry entities were sent to China for phase one nuclear training; plans and are underway to send a further 250 students to China. Infrastructure is Africa's top priority, according to the New Partnership for Africa's Development (Nepad), one of the drivers of the Continental Business Network. With low levels of intra-regional economic exchange and the smallest share of global trade, Africa is the least integrated continent in the world. 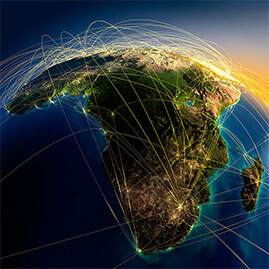 Global and African chief executive officers will launch an exclusive continental business network for Africa's regional infrastructure development on 1 June, on the sidelines of the World Economic Forum (WEF) on Africa. 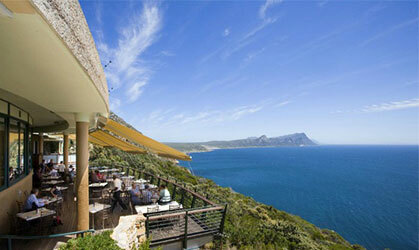 WEF on Africa takes place in Cape Town from 3 to 5 June. Nepad says infrastructure inefficiencies are costing Africa billions of dollars annually and are stunting growth. Bridging the gap in infrastructure is thus vital for economic advancement and sustainable development. However, this can only be achieved through regional and continental cooperation and solution finding. The Programme for Infrastructure Development in Africa (Pida), sponsored by the African Union Commission, Nepad Agency, African Development Bank, United Nations Economic Commission for Africa and regional economic communities, is Africa's solution. It will work through building mutually beneficial infrastructure and strengthening the ability of countries to trade and establish regional value chains for increased competitiveness. In June 2014, under the leadership of Senegalese President Macky Sall, the chairperson of the Nepad Heads of State and Government Orientation Committee, the Dakar Financing Summit for Africa's Infrastructure delivered a robust and upbeat declaration, the Dakar Agenda for Action. It unpacks how the continent's public sector will partner with the private sector and development players to ensure financing and investment for 16 key Pida regional infrastructure projects. The Dakar Agenda for Action outlines concrete actions and measures towards financing for Africa's infrastructure development. The private sector and African policy-makers also recognised that the lack of capacity and funds in project preparation combined with a weak involvement of the private sector were the main issues causing bottlenecks to Pida implementation. As an outcome of the Dakar Summit, the Nepad Agency and the Pida stakeholders have taken the lead in addressing these challenges by launching the Continental Business Network. The network is an exclusive infrastructure investment advisory platform for African leaders, providing thought leadership and engagement on a range of strategic issues such as policy, investment risk ratings, project structuring and specifically the existing constraints to the implementation of Pida projects. The network will comprise leading African and global business and finance bodies as well as regional and international organisations. When the public broadcaster launched the news channel in August 2013, it was only seen in the Southern Africa Development Community region, but it has now extended its footprint to 50 African countries. 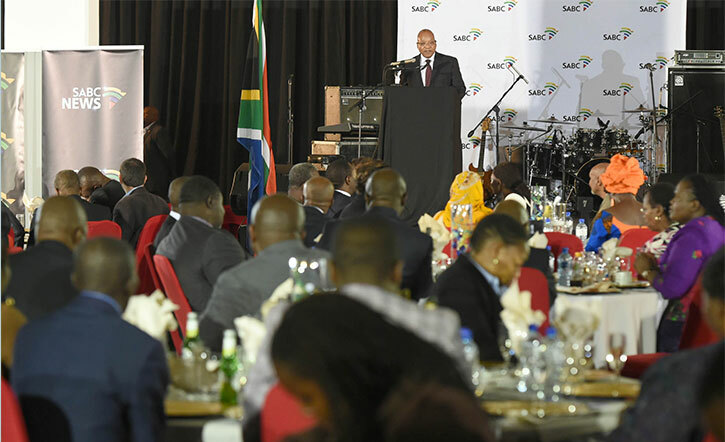 President Jacob Zuma recently officially launched the expansion of the 24-hour SABC News Channel 404 to other countries on the continent. Addressing the glittering event in Midrand, President Zuma said the nation had great expectations from the new channel and that he wanted to see stories of success from the African continent so that we can learn from one another. “SABC News 404 must be a mirror on which we see ourselves as the African people,” he said. “It must tell the story of our day-to-day lives, the story of our hardworking people who wake up every morning and try to make something of their lives, and the story of the work that goes into making our country a better place each day, done by millions of people each day,” he said. “Our hopes, dreams, successes and challenges are intertwined with those of the African continent. Our story is the story of the African continent. “It is thus important that we are going to start sharing our success stories with the continent more extensively. We are also happy that South Africans will be now more exposed to what is happening in the continent,” he said. Trade and Industry Minister, Rob Davies, says he will meet with United States (US) representatives at the beginning of June in France, to negotiate a trade agreement, intended at a stronger flow of South African poultry export products to the West. The Minister said this when he delivered the Department of Trade and Industry’s Budget Vote speech in Parliament recently. He told Members of Parliament that the US Senate had now passed a Bill that provides for the African Growth and Opportunity Act (AGOA) to be extended for a period of 10 years with the inclusion of South Africa. However, the Minister said the French engagements were aimed at ironing out a few outstanding issues, including the US Government allowing South Africa to export poultry products to the country. “New provisions in the Bill, however, strengthen the conditionalities that will apply and clearly seek to chart a course to transform the relationship between the US and Africa from non-reciprocal concessions to reciprocal agreements. “In addition, the Bill provides for regular reviews of African countries’ trade and investment policies with an emphasis on the openness to US products, and in the case of South Africa, such a review is scheduled to be held within 30 days of the enactment of the Bill,” he said. The Minister said the negotiations would continue because what was notably absent was any improvement in the level of access of AGOA eligible countries’ products to the US market. The Home Affairs Corporate Accounts Directorate was established a few years ago as a specialised unit to facilitate the work visa applications of large companies and further manage stakeholder relations. The Minister of Home Affairs, Malusi Gigaba, recently launched the Home Affairs Premium Visa and Permit Centre in Sandton, Johannesburg. 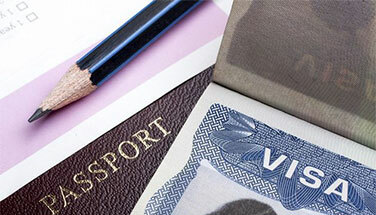 The Department of Home Affairs has partnered with VFS Global and the Gauteng Provincial Government’s Gauteng Growth and Development Agency to facilitate increased investment into South Africa while making it easy for corporate clients to process their visa and permit applications. The work of the unit will be fully enhanced by the one-stop-shop in that all applications for visas made at the GIC centre through VFS will be managed by this unit at a highly reduced turnaround time. The mission, which kicked off on 23 May, forms part of the dti’s objectives to identify and create export markets for South African value-added products and services and to promote South Africa as a trade and investment destination. The Department of Trade and Industry (dti) is leading a business delegation on an outward selling and investment mission (OSIM) to Vietnam and the Philippines. 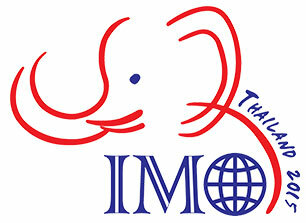 “The mission is also part of our efforts to create market access for South African value-added products and services into the Association of Southeast Asian Nations market and further establish long-term trade relations that will benefit all participating stakeholders,” said the Trade and Industry Minister, Rob Davies. Bilateral trade between Vietnam and South Africa was worth R13,4 billion in 2014 with a trade balance of R9.5 billion in favour of Vietnam. Vietnam is a niche market for South African exporters and provides an alternative destination for South African products in Asia. This will be the third OSIM to Vietnam since 2013. In 2014, 16 companies participated in the OSIM. Meanwhile, the Philippines is one of the world’s fastest-growing emerging markets with a strong gross domestic product growth rate of 7,2% in 2013 and investment growth rate of 18%. The Philippine economy is very well positioned to generate continuing growth and considered by many as “Asia’s bright spot”. There was a decline in South African exports to the Philippines from R669 million in 2014 to R663 million in 2015. Philippine exports to South Africa increased from R1,42 billion to R1,43 billion over the same period. There are several South African companies operating in Peru’s flourishing mining sector which constitutes more than 45% of Peru’s gross domestic product (GDP). Peru is keen to enhance bilateral economic relations with South Africa, said the Department of Trade and Industry (dti). According to the mineral-rich South American country’s Economic and Trade Attaché, Georgios Patsias, and the country’s Second Secretary, Alberto Garcia Montoya, the country was also keen to increase trade and investment between the two countries. “There are multiple opportunities that are available for businesspeople, particularly those who are operating in the small and medium enterprise (SME) sector from both countries to explore. “We are particularly excited about this mission to our country by a group of South African companies because it will encourage trade, investment, joint ventures and partnerships among companies from both countries. This will contribute in increasing bilateral trade and investments between South Africa and Peru,” said Patsias. The dti is leading a delegation of 18 businesspeople on an Outward Trade and Investment Mission (OTIM) to Peru that will conclude on 30 May. Patsias added that the SME sector was thriving in Peru and was contributing significantly to the country’s growing economic growth. He identified agroprocessing as one of the sectors in which South Africa and Peru could explore the myriad opportunities available in both countries. “For instance, South African wines and Rooibos tea can certainly find a receptive market in Peru. We do not have Rooibos tea there. We are not producers of wine. As a result, we are importing it from countries such as Argentina and Chile. Companies from South Africa and Peru can even establish partnerships and joint ventures to find markets in other countries neighbouring us and others beyond our region,” said Patsias. He identified quinoa, a native Peruvian high-protein grain crop used for cereal, maca; a vegetable from which a naturally energising powder is made; and asparagus, as some of the Peruvian products that were already successfully being imported to South Africa. He said that the two countries had a lot to offer each other. In addition, a number of South African farmers are operating in the Peruvian agriculture industry in the Ayacucho Province where they are producing avocados that they export to the United States of America, the biggest market for avocados in the world. “This shows that we can work together for the benefit of both countries. We are also blessed with a 2 000-km coastline where the fishing industry is prosperous and opportunities there are abundant and omnipresent. We are also importers of beef, canola oil and fruits such as apples, oranges and pears,” added Patsias. 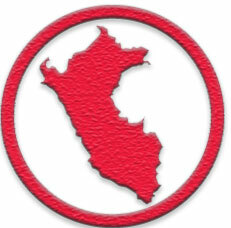 According to the World Bank, Peru, with a population of more than 30 million people, is one of Latin America’s fastest-growing economies and is expected to remain as such in the medium term. Bilateral trade between South Africa and Peru totalled almost R600 million last year. It is heavily skewed in favour of South Africa which exported products worth more than R400 million to Peru. “We are interested in strengthening mutually beneficial bilateral trade relations with South Africa. The meeting was attended by the member countries’ ministers, police chiefs, INTERPOL General Secretariat and Regional Bureau Harare representatives, and Southern African Development Community representatives. The National Commissioner of the South African Police Service (SAPS) and Chairperson of the Southern African Regional Police Chiefs Cooperation Organisation (SARPCCO), General Riah Phiyega, hosted the SARPCCO 20th annual general meeting from 25 to 28 May 2015. SARPCCO has 15 member countries, namely Angola, Botswana, Democratic Republic of Congo, Lesotho, Mauritius, Madagascar, Malawi, Mozambique, Namibia, South Africa, Swaziland, Seychelles, Tanzania, Zambia and Zimbabwe. The organisation is celebrating its 20th anniversary and during the meeting, deserving members of the police from the SARPCCO member countries were awarded for their contribution towards achieving the set goals of SARPCCO. Mango was named as one of the Top 10 low-cost carriers in the world by influential travel site Travelmath. The airline keeps company with some of the world’s biggest brands in low-cost travel, including Virgin America, EasyJet, Southwest and Tiger Air, among others. 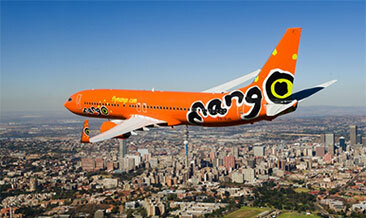 Mango was ranked ninth in the world and is the only African low-cost airline on the list. Australia’s JetStar was in pole position. Last week Mango was voted coolest low-cost airline in the Sunday Times Generation Next Awards and last year it was also awarded African Low-Cost Airline of the Year by Skytrax at the World Airline Awards. Since its launch in 2006, Mango has carried 13,5 million passengers, its fleet has grown by 150% and the airline now serves the majority of South Africa’s major ports. Growth has been prudent, weathering challenging economic times profitably in seven out of eight completed full fiscals. Held in Chiang Mai from 4 to 16 July, they will compete with entrants from over 100 countries in the World Championship Mathematics competition for high school pupils, and hope to enter the ''hall of fame'' of top contestants. Six “mathletes” from South Africa will be vying for gold at this year's International Mathematical Olympiad (IMO), to be held in Thailand in July. Last year it was the turn of Cape Town to host brainiacs from around 100 countries in the world. This year, all the South African candidates are from the Mother City. Andrew McGregor, from Rondebosch Boys High, Mohammed Yaseen Mowzer from Fairbairn College, Sanjiv Ranchod and David Broodryk from Westerford High School, and Bronson Rudner from South African College High School will spend a week of intensive preparation at Wits University in Johannesburg before flying to Thailand. Rudner, Mowzer and Ranchod represented South Africa in Cape Town last year, and McGregor when Colombia hosted the competition in 2013. In two papers of four-and-a-half hours each, the high school pupils will be tested on Geometry, Combinatorics, Number Theory and Algebra. The annual Chelsea Flower Show took place in London between 19 and 23 May. Sanbi-Kirstenbosch participated for the 40th time. Kirstenbosch has yet more silverware to add to its trophy cabinet – the South African National Biodiversity Institute (Sanbi-Kirstenbosch) received Silver Gilt for its 40th exhibit at the Royal Horticultural Society Chelsea Flower Show, to the delight of designers David Davidson and Ray Hudson and the team of Sanbi staff and volunteers who worked tirelessly to achieve the result. This year's display included a retrospective tableau of memorable exhibits, as well as a display of "Plants South Africa Gave the World" and a named flower specimen display. A special tribute to the work of British floral designer Pam Simcock, who was responsible for the design and creation of the Kirstenbosch-South Africa exhibits staged at Chelsea on behalf of the South African Government for the first 18 years of its participation in the show, was included. It was a treasure trove of information and colour and a trip down memory lane for those who are regular visitors and contributors to the show. Sanbi chief executive officer, Tanya Abrahamse, had high praise for the team. "Hearty congratulations!" she said. "A Silver Gilt is a fitting tribute to the design skill and the dedicated work of the team that put this exhibit together." "The opportunity to showcase different aspects of our rich and unique biodiversity on this international platform is one that we value highly. "Winning this Silver Gilt is success not only for Kirstenbosch and Sanbi but for the country as a whole. Many visitors to South Africa travel as a result of seeing our exhibit at Chelsea and we welcome the opportunity of showing off our beautiful country through its 10 botanical gardens." If approved, the extended site will include the Wilderness area, state forests and mountain catchment areas which form a chunk of the Garden Route National Park, an open access reserve spanning more than 155 000 hectares from Wilderness to Tsitsikamma. The Afromontane forests of the Southern Cape, most of them part of the Garden Route National Park, are up for a listing on the World Heritage List. 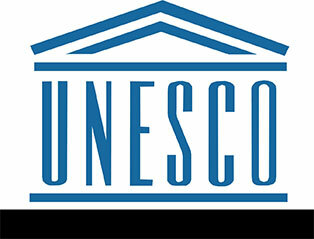 The list is compiled by UNESCO, the UN Educational, Scientific and Cultural Organisation. The International Union for Conservation of Nature received a nomination in March 2014 to double the existing World Heritage Site. The current site is 557 584 hectares and includes Table Mountain National Park, Agulhas complex, Langeberg complex and the Garden Route complex. According to Jill Bunding-Venter, the park's general manager, at least 119 recognised fynbos vegetation types will be added to the existing site of both endemic and/or threatened fynbos species. Meanwhile, two hiking trails in the Knysna forest, which is also part of the Garden Route National Park, have received Green Flag status. Perdekop, a 9,5-km nature walk, and Olifants, in Diepwalle, were accredited by the Hiking Organisation of Southern Africa earlier this month. The Two Oceans Restaurant is in esteemed company as just 9% of these winners were awarded Hall of Fame status. 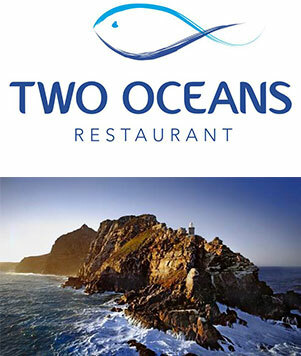 The Two Oceans Restaurant at Cape Point, which features one of the most spectacular views in the world, has been inducted into the TripAdvisor Hall of Fame after winning a Certificate of Excellence for the fifth year in a row. Travellers across the globe use TripAdvisor, the world's largest travel site to plan and book their perfect trips. A Certificate of Excellence celebrates businesses that receive consistently great reviews for making these dreams a reality – restaurants accounted for 52% of winners in 2015, accommodation about 30% and attractions about 20%. Trevor Noah has been making audiences around the world laugh until they cry and now it seems it's the United Kingdom's turn. Trevor Noah was recently unveiled as one of the names to feature on British comedian John Bishops' new comedy show on BBC. The comedy series is set to start at the end of the month and will see John team with some of the biggest names in international comedy each week, including Hal Cruttenden, James Acaster, Lee Nelson, Alex Edelman, Chris Ramsey, Doc Brown, Tanyalee Davis and Mzansi's own Trevor Noah. 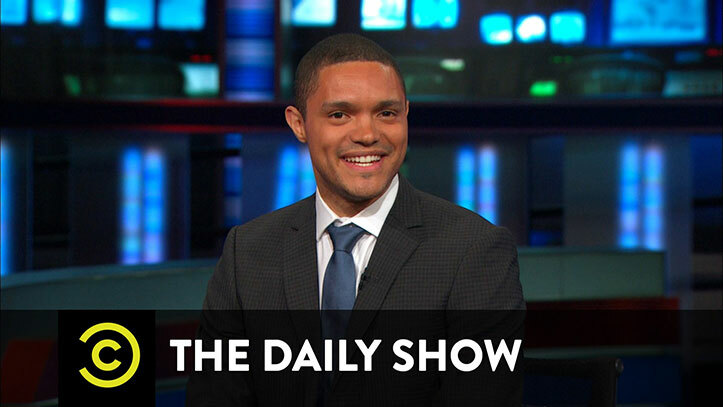 Noah will take over hosting duties from Jon Stewart at The Daily Show from August.